This article is about classical music criticism. For the contemporary usage of the term, see music journalism. The musicologist Winton Dean has suggested that "music is probably the most difficult of the arts to criticize." Unlike the plastic or literary arts, the 'language' of music does not specifically relate to human sensory experience - Dean's words, "the word 'love' is common coin in life and literature: the note C has nothing to do with breakfast or railway journeys or marital harmony." 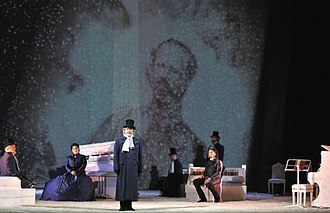 Like dramatic art, music is recreated at every performance, and criticism may therefore be directed both at the text (musical score) and the performance. More specifically, as music has a temporal dimension that requires repetition or development of its material "problems of balance, contrast, expectation and fulfilment ... are more central to music than to other arts, supported as these are by verbal or representational content." The absence of a systematic or consensus-based musical aesthetics has also tended to make music criticism a highly subjective issue. "There is no counter-check outside the critic's own personality." Critical references to music (often deprecating performers or styles) can be found in early literature, including, for example, in Plato's Laws and in the writings of medieval music theorists. Typically until the late eighteenth century music criticism centred on vocal rather than instrumental music - "vocal music ... was the apex of [the] aesthetic hierarchy. One knew what music was expressing." 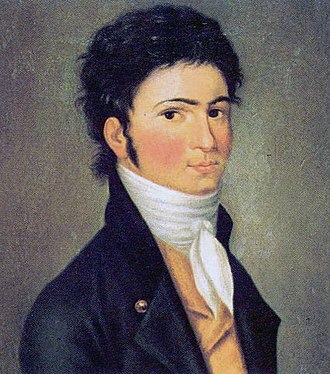 That instrumental music has now risen to a level of which one probably had no inkling not long ago, and that the symphony, especially following...Haydn and Mozart, has become the ultimate form of instrumental music - the opera of instruments, as it were - all this is well-known to every music-lover. A further impetus to the direction of music criticism was given by the changing nature of concert programming with the establishment of the European classical music canon; indeed it is at this period that the word 'classical' is first applied to a received musical tradition. At the same time, the proportion of new music to 'canonic' music in concert programming began to decline, meaning that living composers were increasingly in competition with their dead predecessors. 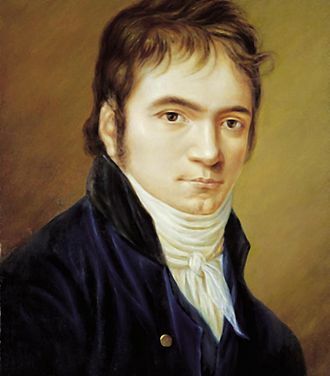 This was particularly the case in respect of the rise of Beethoven's reputation in his last year and posthumously. This gave rise both to writings on the value of the 'canon' and also to writings by composers and their supporters defending newer music. In 1798 the Allgemeine musikalische Zeitung, edited by Friedrich Rochlitz (1769-1842), began publication in Leipzig, and this is often regarded as the precursor of a new genre of criticism aimed at a wider readership than qualified connoisseurs. 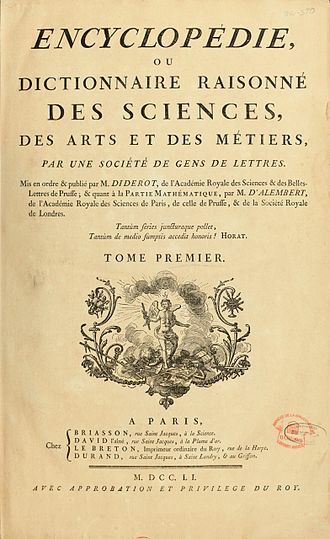 In subsequent years a number of regular journals dedicated to music criticism and reviews began to appear in major European centres, including The Harmonicon (London 1823-33), The Musical Times (London, 1844-date), the Revue et gazette musicale de Paris (Paris 1827-1880, founded by François-Joseph Fétis), the Berliner allgemeine musikalische Zeitung founded in 1825 by A.M. Schlesinger and edited by A. 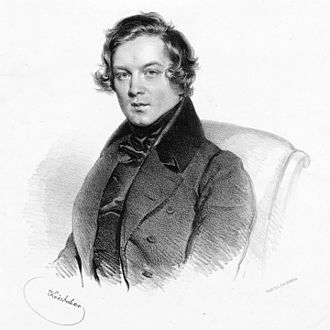 B. Marx, and the Neue Zeitschrift für Musik founded in 1834 in Leipzig by Robert Schumann and Friedrich Wieck, and later edited by Franz Brendel. Other journals at this period also began to carry extensive writings on music: Hector Berlioz wrote for the Parisian Journal des débats, Heinrich Heine reported on music and literature in Paris for the Stuttgart Allgemeine Zeitung, the young Richard Wagner wrote articles for Heinrich Laube's magazine Zeitung für die elegante Welt and during his 1839-42 stay in Paris for Schlesinger's publishing house and for German newspapers. In 1835 James William Davison (1813–85) began his lifelong career as a music critic, writing 40 years for The Times. Avison, Charles (1752). Essay on Musical Expression. London. Downloadable from IMSLP. Bujic, Bojan (n.d.) "Criticism of Music" in The Oxford Companion to Music, Oxford Music Online, accessed 1 January 2013. Charlton, David (2003). "Hoffmann as a Writer on Music", in Hoffmann (2003), 1-22. Davison, J.W., ed. Henry Davison (1912). FromMendelssohnto Wagner: Memoirs of J. W. Davison". London: William Reeves. Weber, William (2001). "From Miscellany to Homogeneity in Concert Programming", in Poetics 29, 127-34. Weber, William (2003). "Consequences of Canon: The Institutionalization of Enmity between Contemporary and Classical Music", in Common Knowledge 9/2, 78-99. ^ Conway (2012) 50-1; Weber (2001); Weber (2003). Georg Philipp Telemann was a German Baroque composer and multi-instrumentalist. Almost completely self-taught in music, he became a composer against his familys wishes, after studying in Magdeburg and Hildesheim, Telemann entered the University of Leipzig to study law, but eventually settled on a career in music. He held important positions in Leipzig, Sorau and Frankfurt before settling in Hamburg in 1721, Telemanns music incorporates several national styles and is even at times influenced by Polish popular music. He remained at the forefront of all new musical tendencies and his music is an important link between the late Baroque and early Classical styles, Telemann was born in Magdeburg, the capital of the Duchy of Magdeburg, Brandenburg-Prussia. 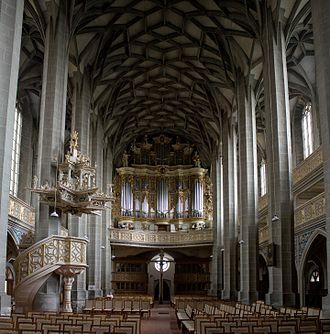 His father Heinrich, deacon at the Church of the Holy Spirit, the future composer received his first music lessons at 10, from a local organist, and became immensely interested in music in general, and composition in particular. 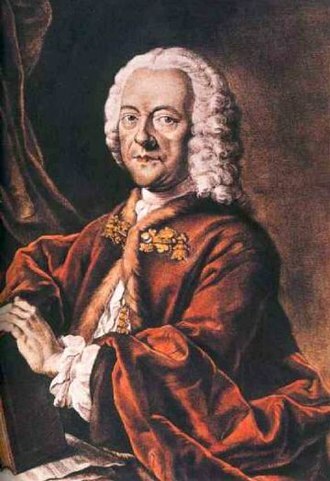 Despite opposition from his mother and relatives, who forbade any musical activities, Telemann found it possible to study and compose in secret, even creating an opera at age 12. Telemann was becoming equally adept both at composing and performing, teaching himself flute, violin, double bass, in 1701 he graduated from the Gymnasium and went to Leipzig to become a student at the Leipzig University, where he intended to study law. He ended up becoming a musician, regularly composing works for Nikolaikirche. 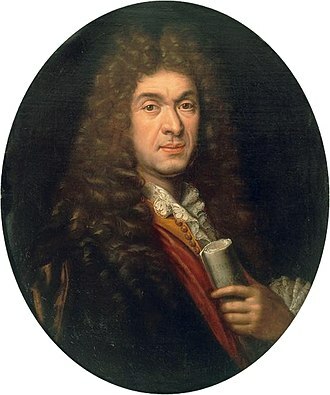 In 1702 he became director of the opera house Opernhaus auf dem Brühl. Prodigiously productive, Telemann supplied a wealth of new music for Leipzig, including operas, one of which was his first major opera. 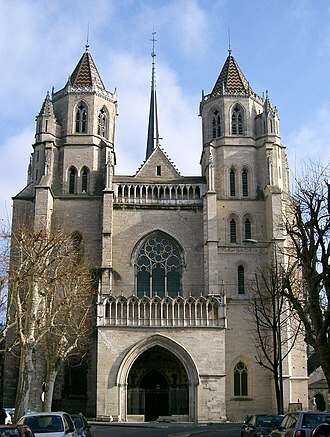 However, he engaged in a conflict with the cantor of Thomaskirche. The conflict intensified when Telemann started employing numerous students for his projects, including those that were Kuhnaus, Telemann left Leipzig in 1705 at the age of 24 after receiving an invitation to become Kapellmeister for the court of Count Erdmann II of Promnitz at Sorau. 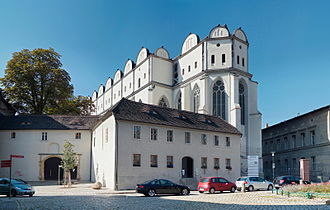 He became Konzertmeister on 24 December 1708 and Secretary and Kapellmeister in August 1709, during his tenure at Eisenach Telemann created a very large amount of music, at least four annual cycles of church cantatas, dozens of sonatas and concertos, and other works. 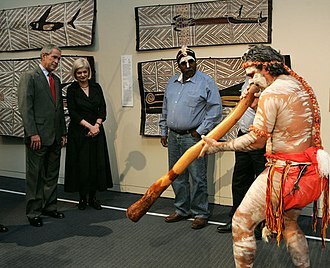 Ancient music is music that developed in literate cultures, replacing prehistoric music. Ancient music refers to the musical systems that were developed across various geographical regions such as Mesopotamia, Persia, China, Greece. Ancient music is designated by the characterization of the notes and scales. It may have been transmitted through oral or written systems, Music has been an integral part of Egyptian culture since antiquity. The ancient Egyptians credited one of the powerful gods Hathor with the invention of music, percussion instruments, and lutes were added to orchestras by the Middle Kingdom. Egyptian folk music, including the traditional Sufi dhikr rituals, are the closest contemporary music genre to ancient Egyptian music, having preserved many of its features, none of the many theories that have been formulated have any adequate foundation. In 1986, Anne Draffkorn Kilmer from the University of California at Berkeley published her decipherment of a tablet from Nippur dated to about 2000 BCE. She demonstrated that they represent fragmentary instructions for performing music, that the music was composed in harmonies of thirds, the notation in that tablet was not as developed as the notation in the cuneiform tablet dated to about 1250 BCE. The interpretation of the system is still controversial, but it is clear that the notation indicates the names of strings on a lyre. These tablets represent the earliest recorded melodies, though fragmentary, from anywhere in the world, in 1929, Leonard Woolley discovered pieces of four harps while excavating in the ruins of the ancient city of Ur, located in what was Ancient Mesopotamia and is contemporary Iraq. Some of the fragments are now located at the University of Pennsylvania, in the British Museum in London and they have been dated to 2,750 BCE. Various reconstructions have been attempted, but none have been totally satisfactory, depending on various definitions, they could be classed as lyres rather than harps. The most famous is the harp, held in Baghdad. Ernst Theodor Amadeus Hoffmann was a Prussian Romantic author of fantasy and Gothic horror, a jurist, music critic and caricaturist. His stories form the basis of Jacques Offenbachs famous opera The Tales of Hoffmann and he is the author of the novella The Nutcracker and the Mouse King, on which Pyotr Ilyich Tchaikovskys ballet The Nutcracker is based. The ballet Coppélia is based on two stories that Hoffmann wrote, while Schumanns Kreisleriana is based on Hoffmanns character Johannes Kreisler. 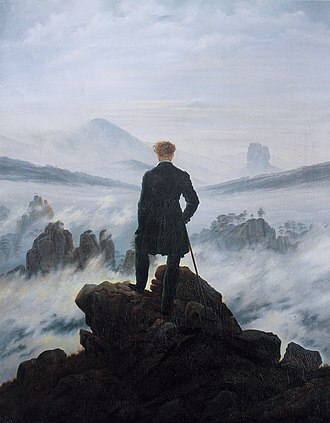 Hoffmanns stories highly influenced 19th century literature, and he is one of the authors of the Romantic movement. 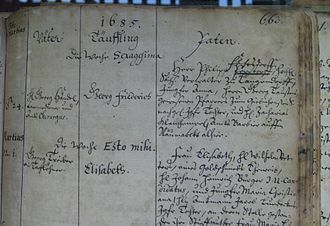 Hoffmanns ancestors, both maternal and paternal, were jurists and his father, Christoph Ludwig Hoffmann, was a barrister in Königsberg, Prussia, as well as a poet and amateur musician who played the viola da gamba. In 1767 he married his cousin, Lovisa Albertina Doerffer, ernst Theodor Wilhelm, born on 24 January 1776, was the youngest of three children, of whom the second died in infancy. The household, dominated by the uncle, was pietistic and uncongenial, Hoffmann was to regret his estrangement from his father. Nevertheless, he remembered his aunts with great affection, especially the younger, between 1781 and 1792 he attended the Lutheran school or Burgschule, where he made good progress in classics. He was taught drawing by one Saemann, and counterpoint by a Polish organist named Podbileski, ernst showed great talent for piano-playing, and busied himself with writing and drawing. 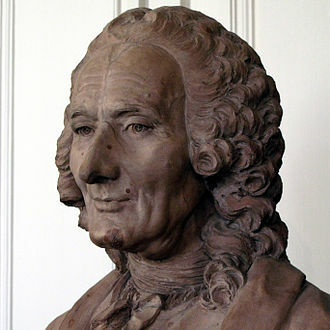 He had however read Schiller, Swift, Sterne and Jean Paul, and wrote part of a novel titled Der Geheimnisvolle. Around 1787 he became friends with Theodor Gottlieb von Hippel the Younger, the son of a pastor, and nephew of Theodor Gottlieb von Hippel the Elder, during 1792, both attended some of Kants lectures at the University of Königsberg. Their friendship, although tested by an increasing social difference, was to be lifelong. In 1794, Hoffmann became enamored of Cora Hatt, a woman to whom he had given music lessons. Knowledge of the biblical period is mostly from literary references in the Bible and post-biblical sources. The study of ancient musical instruments has been practiced for centuries with some researchers studying instruments from Israel/Palestine dating to the biblical period and written data have demonstrated clearly that music was an integral part of daily life in ancient Israel/Palestine. Data describes outdoor scenes of music and dancing in sometimes prophetic frenzies, often with carefully orchestrated and choreographed musicians, according to ancient music historian Theodore Burgh, If we were able to step into the. Biblical period, we would find a culture filled with music, where people used music in their daily lives. Such music was capable of expressing a variety of moods and feelings or the broadly marked antitheses of joy and sorrow and fear, faith. In fact, every shade and quality of sentiment are found in the wealth of songs and psalms, Egypt was among the oldest cultures of the Near East and had a highly developed musical culture dating back to around 3000 BC. Egyptian sources, include only pictorial relics, some instruments, on various pieces of sculpture there are reliefs of harpists and flutists taking part in religious ceremonies and social entertainments. A number of instruments have been identified as being used in Egypt, including the lyre, an instrument, various drums from Asia, the lute. Murals showing singers and instrumentalist performing have been found, according to music historian Homer Ulrich, it is likely that Egypt influenced the educational and ethical aspects of Greek music. 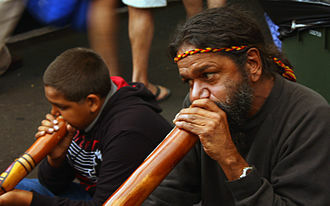 Stephen Batuk equally observed that the link of music was consummated during the week of creation where birds in the air make sounds which could be seen as music. Although records are minimal, it is known that between 3000 and 2300 BC organized temple music with singers existed in Sumer and Babylonia, the oldest cultural groups in Mesopotamia, excavations have uncovered several musical instruments, including harps, double oboes, and a few others. 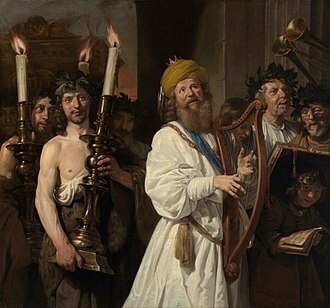 Jewish music began in the years of tribal life. Italian opera is both the art of opera in Italy and opera in the Italian language. 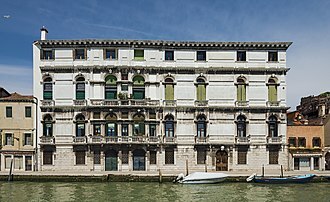 Opera was born in Italy around the year 1600 and Italian opera has continued to play a dominant role in the history of the form until the present day, many famous operas in Italian were written by foreign composers, including Handel and Mozart. Dafne by Jacopo Peri was the earliest composition considered opera, as understood today, peris works, did not arise out of a creative vacuum in the area of sung drama. An underlying prerequisite for the creation of opera proper was the practice of monody, from this, it was only a small step to fully-fledged monody. Such spectacles were staged to commemorate significant state events, military victories, and the like. They were lavishly staged, and led the scenography of the half of the 16th century. Another popular court entertainment at this time was the madrigal comedy and this consisted of a series of madrigals strung together to suggest a dramatic narrative, but not staged. There were two staged musical pastorals, Il Satiro and La Disperazione di Fileno, both produced in 1590 and written by Emilio de Cavalieri. Other pastoral plays had long included some musical numbers, one of the earliest, the music of Dafne is now lost. 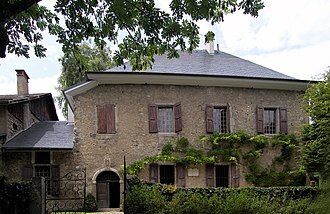 The first opera for which music has survived was performed in 1600 at the wedding of Henry IV of France, the opera, with a libretto by Rinuccini, set to music by Peri and Giulio Caccini, recounted the story of Orpheus and Eurydice. The style of singing favored by Peri and Caccini was a form of natural speech. Recitative thus preceded the development of arias, though it became the custom to include separate songs. Both Dafne and Euridice included choruses commenting on the action at the end of each act in the manner of Greek tragedy. The theme of Orpheus, the demi-god of music, was popular and attracted Claudio Monteverdi who wrote his first opera, La Favola dOrfeo. Monteverdi insisted on a relationship between the words and music. When Orfeo was performed in Mantua, an orchestra of 38 instruments, Opera had revealed its first stage of maturity in the hands of Monteverdi. Charles Avison was an English composer during the Baroque and Classical periods. He was a church organist at St John The Baptist Church in Newcastle and he is most known for his 12 Concerti Grossi after Scarlatti and his Essay on Musical Expression, the first music criticism published in English. 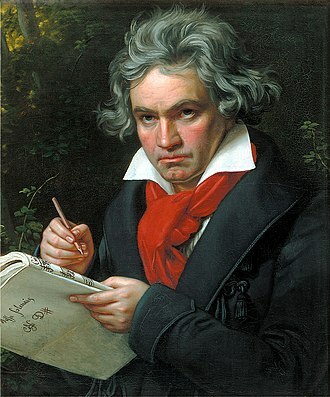 He composed in a style that alternated between Baroque and Classical idioms. 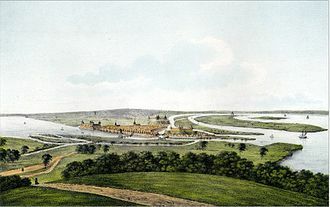 The son of Richard and Anne Avison, Charles Avison was baptised on 16 February 1709, at St John the Baptist Church, according to The New Grove Dictionary, he was born in this city. His educational history, though unclear, could have been at one of the two charity schools serving St Johns parish, some sources claim that Charles was the fifth of nine children, while others claim that he was the seventh of ten children. Regardless, Avison was born into a family with a rate of infant mortality. His father was a musician and was likely to have been Charles’s first teacher, when Charles was 12, his father died, leaving his mother widowed with at least one and possibly two children at home. In his twenties, Avison moved to London to further pursue his career as a musician and it was during this period of his life that he met and began to study with Francesco Geminiani. Avisons first documented performance was a benefit concert in London on 20 March 1734. This was his only concert in London and probably contained some of his early compositions written under Geminiani. Avison left London and, on 13 October 1735, was appointed organist of St. John’s and this appointment took effect once the church had installed a new organ in June 1736. Avison accepted a position as organist of St. Nicholas Church in October 1736 and he remained at these two posts until his death. Avison taught harpsichord and violin to private students on a weekly basis, much of Avisons income was generated through a series of subscription concerts which he helped organise in the North East region of England. These were the first concerts of their type to be held in Newcastle, despite numerous offers of more prestigious positions in life, he never again left Newcastle. The Oxford Companion to Music is a music reference book in the series of Oxford Companions produced by the Oxford University Press. It was originally conceived and written by Percy Scholes and published in 1938, since then, it has undergone two distinct rewritings, one by Denis Arnold, in 1983, and the latest edition by Alison Latham in 2002. It is arguably the most successful book on music ever produced, the first edition, a single-volume work, was produced in 1938, edited by Percy Scholes, and was written almost entirely by him alone. The second edition, published 1939 includes a 64-page categorised List of books about music in the English language by Scholes, wherever possible, Scholes tried to use primary source material, rather than summarizing other peoples work. From this research, he produced about fifty-five volumes of notes, each of these was devoted to a separate branch of musical knowledge. He sought review of each of these volumes with specialists in the particular branch of musical knowledge. Finally, these volumes were broken up and re-constituted in alphabetical order, Scholes intention was to produce a work relevant to a wide range of readers, from the professional musician to the concert-goer, gramaphonist, or radio-listener. 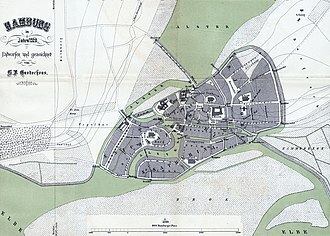 The result was a work which was accessible to the general reader. While scholarly and well-researched, Scholes style was sometimes quirky, for instance, his original articles on some of the twentieth-century composers were highly dismissive, as were his articles on genres such as jazz. His entry on the can-can concludes Its exact nature is unknown to anyone connected with this Companion and he produced several revisions prior to his death, with the last full revision being the 9th edition in 1955. The Tenth Edition, published in 1970, was a revision of Scholes work by John Owen Ward, Ward considered it inappropriate to change radically the characteristic rich anecdotal quality of Dr. Scholes style. Although he brought some of the articles up to date, he left much of Scholes distinctive work intact, in 1983 a wholly revised two-volume work, titled The New Oxford Companion to Music, was introduced. Reconstruction of the temple of the Fortuna Primigenia by Palladio. 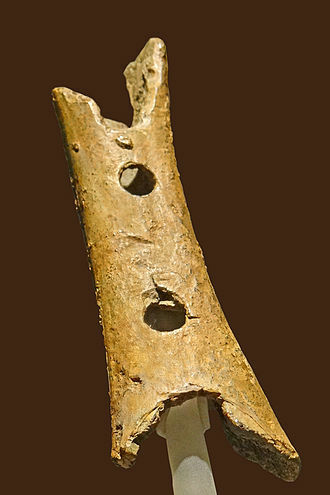 The Divje Babe Flute, a bone flute which is over 41,000 years old. Egyptian lute players. Fresco from the tomb of Nebamun, a nobleman in the 18th Dynasty of Ancient Egypt (c. 1350 BC). Title page of the first volume, showing a portrait of J. S. Bach.